Numerical Reasoning - why is this correct? Why is the answer to this is 100? 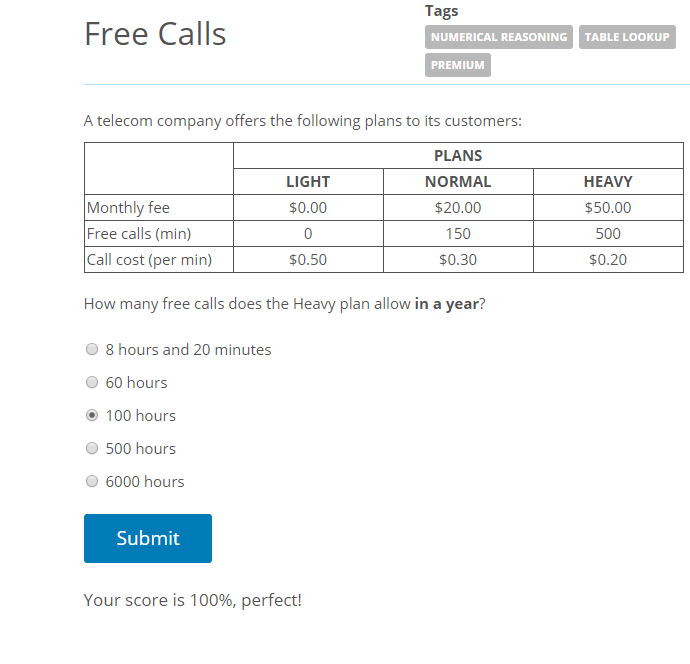 That's 500 mins of free call in the grid... it's not 500 per min. One year is 12 months.... hmmm... I don't know how 100 is correct. of course. I'm confusing myself and letting the stress to get to me.